Facial recognition technology could shorten airport security lines, but is it accurate? 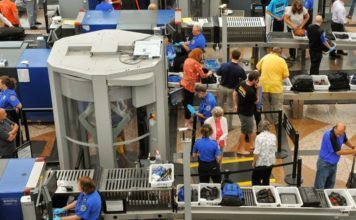 Facial recognition technology is becoming more common at airports in the United States. Orlando had the new technology installed last year, and Miami just recently added it too. Some people might be skeptical about the uses for this technology at an airport. Safety and security are the top reasons the technology is being tested at airports and starting to become utilized. It also speeds up entry and exit. The U.S. Department of Homeland Security has a privacy impact assessment, a way the department is taking steps to protect travelers’ personal information. The server with the information is isolated, and they have rules.